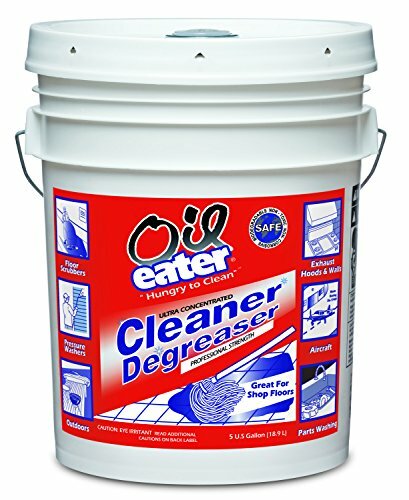 OIL EATER Cleaner & Degreaser is a water based powerful cleaner that safely dissolves grease and grime from almost any surface. This non-corrosive, non-hazardous, ultra concentrate is perfect for light, medium or heavy cleaning. Powerful and safe just add water to meet your cleaning needs. If you have any questions about this product by Oil Eater, contact us by completing and submitting the form below. If you are looking for a specif part number, please include it with your message.